Yes, it’s time for another Destiny expansion. If you guessed that Bungie adds some good things, and bungles up some other things, you’re either psychic or just remember almost every other Destiny release. But don’t worry too much, as Destiny 2’s second expansion, Warmind, does a few more good things than usual. But still the same amount of not so good things. Let’s start with a good thing! The new patrol zone set on Mars’ northern ice-cap is fantastic. The red sand dunes are a familiar setting from the original Destiny, but still feel new thanks to the ice caverns and high-tech buildings. While it’s not as big as the patrol spaces from the vanilla release, it’s significantly larger than the patrol zone from Curse of Osiris. So yes, you can use your sparrow. Despite being smaller than most other planetary zones, Warmind’s patrol areas are brimming with secrets and collectables, making it more enjoyable to explore. The Sleeper Nodes in particular encourage players to think and explore, using cryptic clues to lure you around different parts of the map. But a small space means the campaign is extremely short, with only a couple hours of gameplay. It’s particularly disappointing as out of the five missions, one retraces old areas on Earth, and two of them are just strikes. I’m all for strikes being part of the campaign, but to help substantiate the length rather than substitute for content. The final boss is also an interesting fight, as it’s a creature that hadn’t been introduced in-game until now, but it feels lacklustre for something that’s considered a ‘god’. Across Mars you’ll encounter new frozen hive enemies. And by ‘new’ I mean some of the knights have shields and some of the acolytes have snipers, which changes up gameplay ever so slightly. But because they’re all iced up, they shatter when you kill them, which looks… cool, but isn’t substantial enough to be exciting. That won’t shield you from my criticisms. Perhaps the best part of the expansion doesn’t even require the expansion. The exotic weapons have all been updated, with almost universal buffs. Bungie are really listened to the community and almost every exotic gun feels viable, at least in some situations. Graviton Lance was previously a laughing stock, but now it’s one of the best guns for crowd control and PVP. The Tractor Cannon was also a fun but ridiculous gun, but its ability to suppress and debuff bosses makes it almost essential to any teams’ loadout for end game content. Crucible feels much slicker thanks to the exotic buffs, as stronger guns mean faster kill times. Bungie also re-introduced 6v6 matches for Iron Banner recently, which is both good and bad. When I’m playing solo, I find that the larger teams help, as in the ensuing chaos I can often get the jump on enemies. 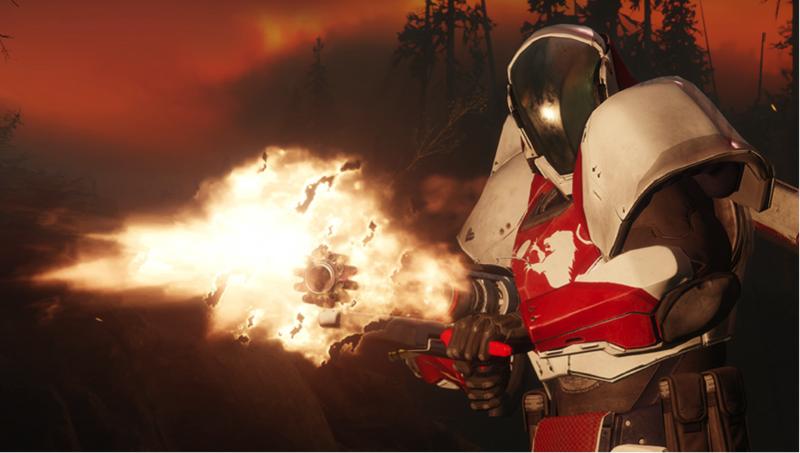 But when up against coordinated groups, Destiny 2’s old issues are exacerbated, with team shotting ramped up and spawn camping becoming more prevalent. Bungie is still promising more changes, but it’s an uphill battle. Sweet Business now has even more ammo for even more pewpews. Escalation Protocol is the new public event for the Mars zones. It’s like a mix of Prison of Elders and Court of Oryx from Destiny 1, requiring players to kill waves of Hive, before reaching a unique boss that rotates every week. It’s actually one of the most difficult in the game, designed for a massive group of nine players to complete. But if you don’t finish the entire event, you won’t earn any rewards, ultimately leading it to feel like a waste of effort. 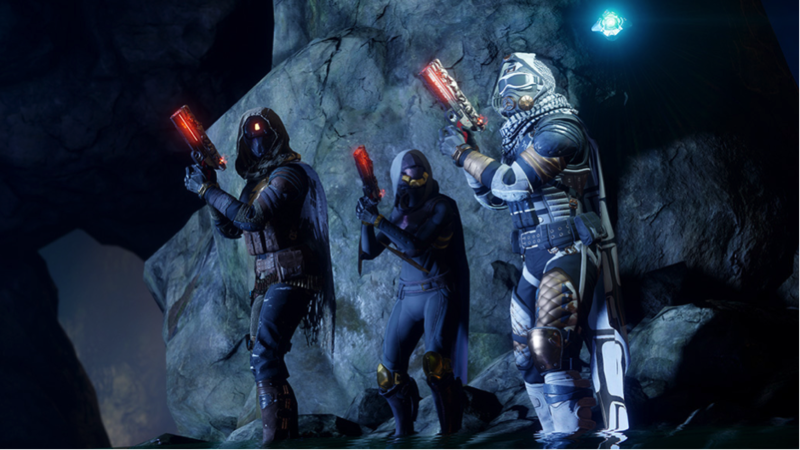 Particularly as patrol spaces are still limited to fireteams of three, so you’ll need to spend a lot of time zoning in and out to try and matchmake with your friends if you need all nine players (assuming your friends still play). Meet Santa Claws. He gives good guardians the gift of death. 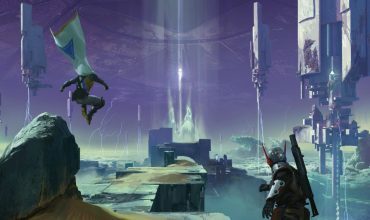 New expansion means new raid content, called ‘Spire of Stars.’ Like Curse of Osiris, Warmind only includes a mini Raid Lair. Thankfully the boss itself feels like multiple encounters all rolled into one. 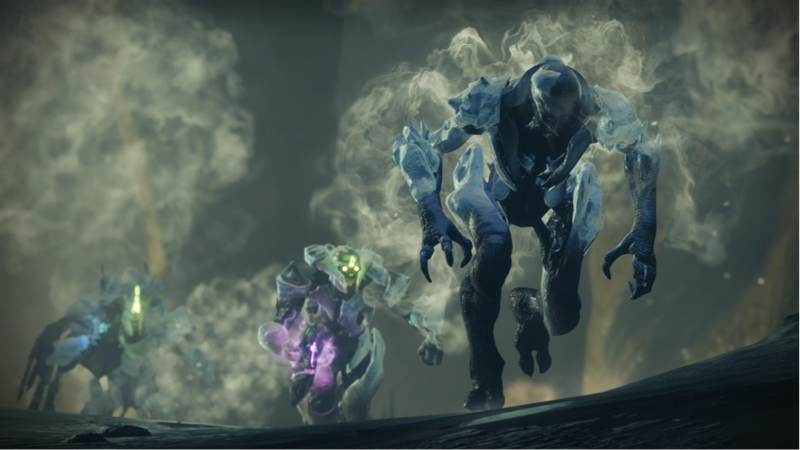 It has layers of mechanics that all intertwine to feel like an action-packed version of the Oryx fight from The Taken King raid. It’s probably the most challenging raid boss to date and one that I don’t think as many groups will triumph over. But those who do will feel like they’ve earned the Cabal emperor’s favour. Putting the fun back into Leviafun. Despite its disappointing campaign and a few other flaws littered about, this expansion does introduce some great content, particularly within its patrol space and raid. But is it worth coming back to if you’ve dropped off Destiny 2 since the initial release? Not yet. 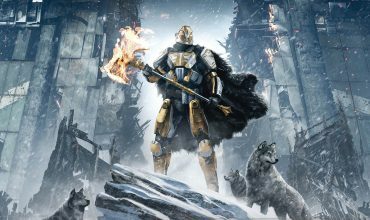 It’s almost guaranteed that the big September expansion, which is set to be revealed on June 6th (AEST), will be the change that Destiny 2 really needs, as The Taken King was for the original game. I’d say it’s worth waiting until then to get a better game and the expansions for a cheaper price to boot. But if you’ve always been playing, there’s enough here to keep to going for a little while longer. This isn’t Destiny at its best, but it’s certainly better than what it was a month ago. 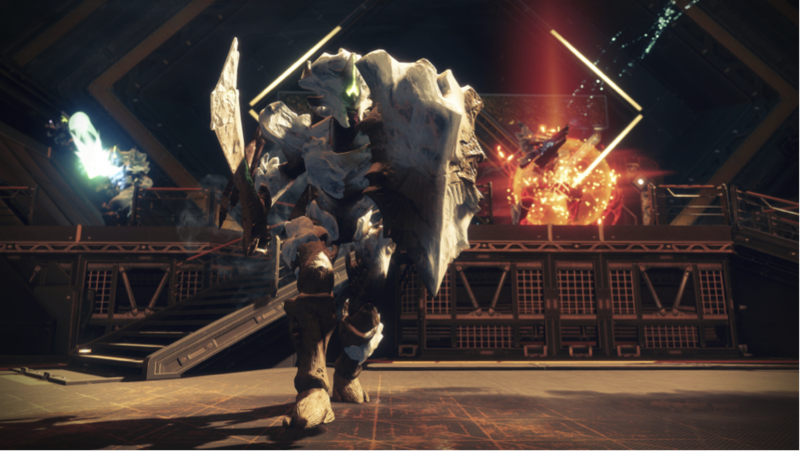 Warmind provides a great patrol area, raid, and weapon buffs, but also a disappointing campaign and enemies. If you’ve constantly played Destiny 2, it’s a good enough excuse to continue. But if you’ve stopped since launch, it’s unlikely to warm your Coldheart (although that was also buffed).